Somewhat east of San Diego lies the small town of Lemon Grove, recently established in 1977. Located in Lemon Grove is an enormous lemon about ten feet long and several feet high. 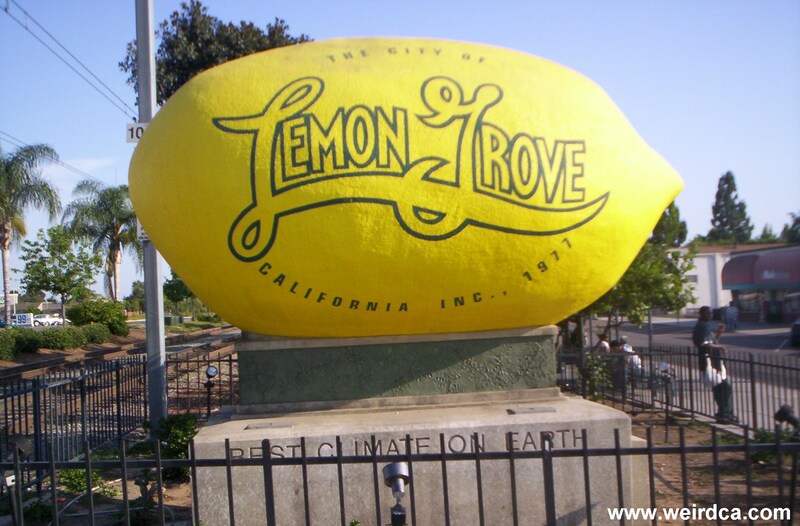 Although the town does not claim to have the World's Largest Lemon, the lemon of Lemon Grove is certainly extremely large. It lies inside a small lemon grove near the Orange Line Trolley Tracks. 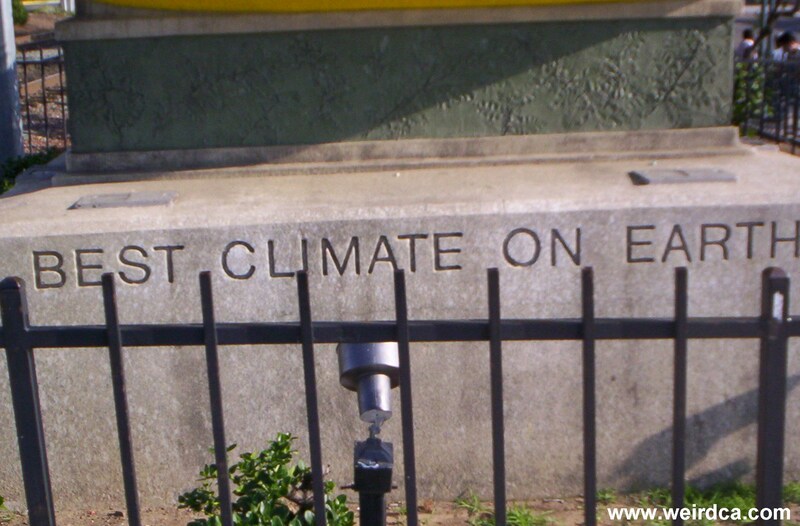 The concrete base has the words "Best Climate On Earth" written on it. One report states that the lemon is made of fiberglass and was made for a float for a parade in 1928. Additionally, there apparently is an urban legend of someone entombed within the concrete base. Lemon Grove was incorporated in 1977 but settled in 1869.